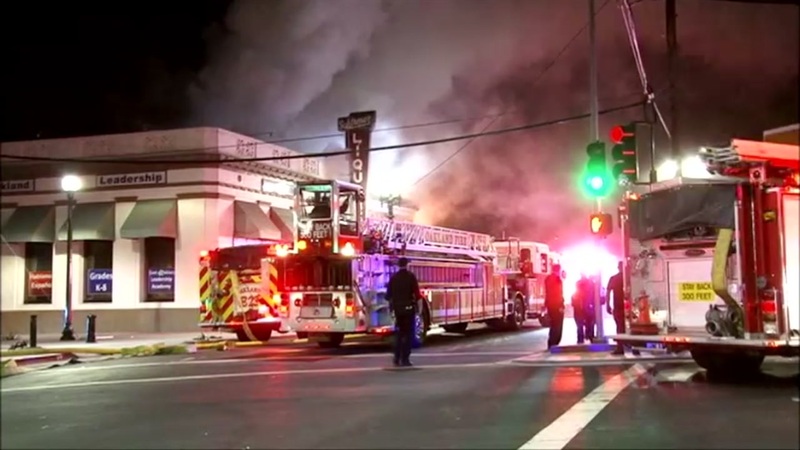 OAKLAND, Calif. -- Police and firefighters are at the scene of a two-alarm fire at a liquor store in East Oakland Tuesday night. Police were called to the 2600 block of Seminary Avenue at 9:07 p.m. after a 911 caller reported a man with a weapon. A suspect was reportedly inside the store throwing items, then he allegedly set fire to the scene, according to police. Firefighters were called to the scene at 9:16 p.m. The incident was upgraded to a second alarm response, according to a fire dispatcher.